Completing the GRE® Subject Matter Test in Literature in English will help the prospective graduate student showcase his or her knowledge and expertise in English Literature. All GRE Subject Matter Tests are accepted at most colleges and universities and offer additional standardized information about the applicant. While a Subject Matter Test may not necessarily be required for admission, an exceptional score in a certain subject can serve to help the student’s summary and records be noticed in the graduate admissions process. 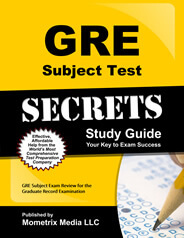 The GRE® Subject Matter Test in Literature in English contains approximately 230 questions and highlights authors and literary genres. The test uses literary works and movements, such as biographies, criticisms, drama, and poetry; the history of the language, literary theory, the essay, the novel, and the short story. The test will include questions relating to excerpts from lengthy literary works or from shorter works that are reprinted completely within the test. Literary works are collected from most all English language countries and may include questions regarding major books or literary works that have been translated from other languages, i.e. the Bible. The questions on the test are randomly grouped into two divisions: critical and factual. Critical questions test the student’s perception of a given literary text. While reviewing a piece of literature, the student will display his/her understanding of the work’s features of language, form, structure, literary techniques, and meaning. Factual questions focus on the correct identification of certain characteristics, author, period, style, or critical comment or movement related to a specific literary work or commentary. Literary Analysis (40 to 55%) is the largest section of the test and will review the student’s skill in understanding certain selections of poetry and prose. Questions will include detection of allusions and references, genres, meaning, tone, grammar, structure; also literary techniques and rhetorical strategies. The second largest section of the test, Cultural and Historical Contexts (20 to 25%), includes questions on cultural, intellectual, and literary history along with recognizing the author or the work from an excerpt, a critical statement or biography, character details, plot, or setting in a historical situation. Identification (15 to 20%) focuses specifically on identification of author, date or work by the content, or style of the reprinted excerpt. The smallest section of the test, History and Theory of Literary Criticism (10 to 15%), includes detection and analysis of the methods and characteristics of numerous critical and theoretical approaches in literature. While the test is lengthy, no student is expected to be familiar with all subject matter or be able to answer all questions correctly. Many short, multiple choice questions, along with the lengthy scope of the test, have been proven to work to the student’s advantage in allowing the student to fairly, accurately, and systematically evaluate his or her knowledge of the test material. 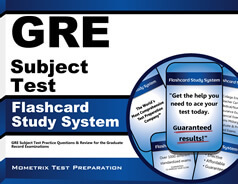 The student may obtain a maximum score on the GRE® Subject Matter Test in Literature in English without actually answering all the questions correctly. All subject test preparation study materials are free and are sent to the registrant after registration is complete. Service Candidate Profile Listing is also free for registrants, matching your profile with fellowship sponsors.